A woman from Nelson in New Zealand who was surprised to find insects come out of her hot water tap says she wants others to know about the problem as it could happen to them. When Olga Reid noticed a collection of bug parts come out with her hot water, her first thought was that there were cluster flies coming out of the tap. "I noticed heads, legs, bits and pieces, the sink water here came out like a stew and there was bugs all around the place," Reid said. "I didn't want them in there so I wanted to set out to find out how to get rid of them." 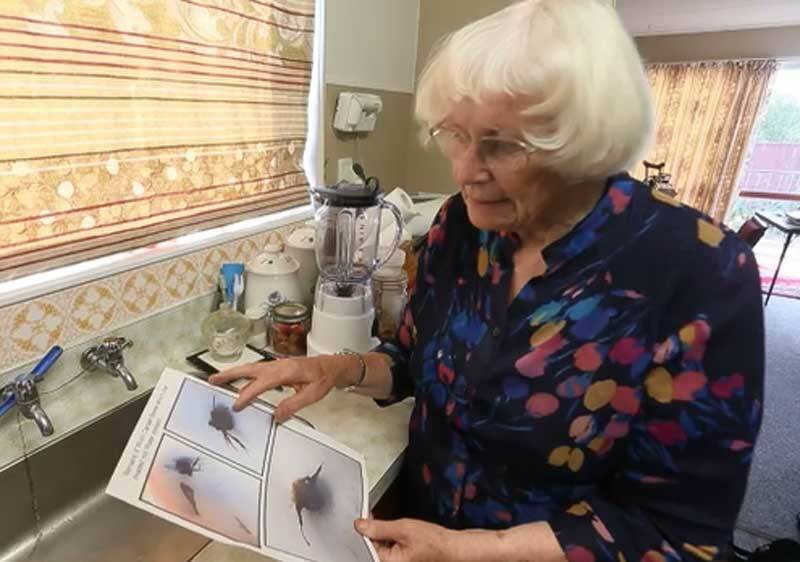 The Stoke resident had trouble getting the insects identified, she contacted both the Nelson City Council and the Public Health Service to get to the bottom of where they had come from. "I wasn't happy to find out that nobody knew about them," she said. Photos of the insects were send to entomologist Richard Toft, who identified them as wool carder bees. 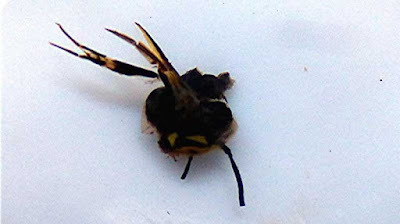 The bees, which look like a cross between a honey bee and a wasp first arrived in the country 10 years ago and Toft said Nelson was one of the first places they were discovered. Toft said they liked to nest in crevices which would explain how they ended up getting into plumbing. "The funny thing was other people were telling me about their showers being blocked and I was trying to find out why," Reid said. "People do need to know about them and what to do." Reid drained her hot water cylinder with the help of a neighbour and called a plumber who was able to fix the problem by putting a gauze over the vent pipe. Trade Central plumber Glen Penson who responded to Reid's call, said he had one callout or so a month where bugs were blocking the shower mixer or taps. "Some people get plagued by it and some don't," he said. "It definitely keeps plumbers busy that is for sure." It was a problem for those that had low pressure, open-vented hot water systems, which he estimated was about 60 per cent of homes in Nelson, although that number was diminishing as new home builds used un-vented, mains pressure systems. "It is a header tank problem really, if you have a header tank in your house they will find a way to get in there and die." The presence of insects was the first thing he looked for when people had a dripping shower head or no hot water coming out of their tap. He thought the insects entered the overflow from the header tank or got into the hot water cylinder through the release pipe where they then blocked shower heads and hot water taps. The solution was to put a gauze on the release pipe and a rodent flap on the overflow to prevent anything entering the system. "It makes it a hell of a lot harder for them to get in there, bugs are pretty persistent, they will find any little gap." Tim Miller of Tim Miller Plumbing said he first came across the problem around 10 years ago. He had pulled the black and yellow insects out of shower heads and wondered if they were attracted to the heat in the vent pipes. "For a while there it was a big problem," he said. "They cause problems in tempering valves and shower mixers and they get caught up in the internal system." Miller said it was a strange thing to see. "It's certainly out there and it didn't use to happen."